Thanks…an unexpected surprise when I was looking at the colors on a leaf. 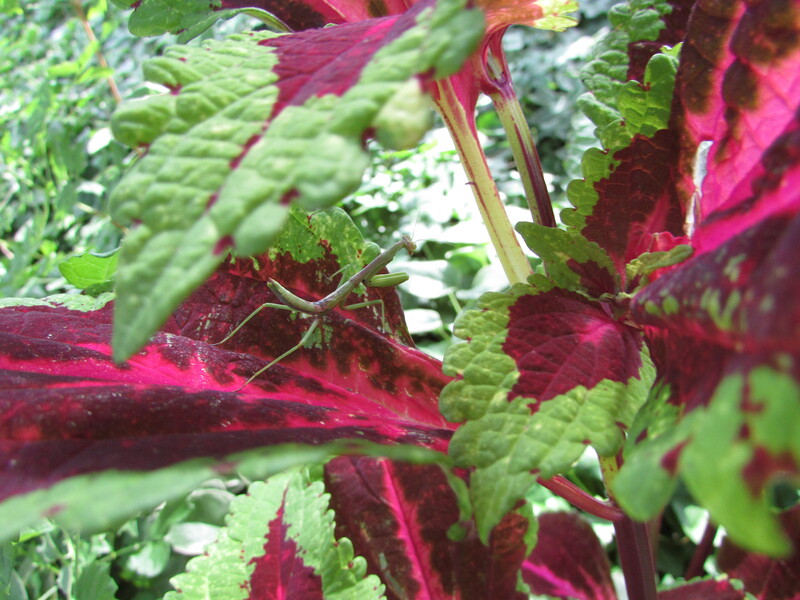 I found another mantis today…this one on a pink hydrangea. I don’t think it was the same one as it was fairly far away. Thanks…it was a fun moment.